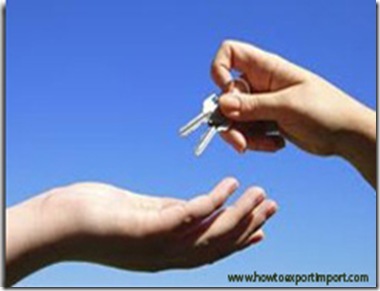 Can an Importer be a Customs broker? Can a Customs broker become an importer in Bill of Lading? Can consignee column of Bill of Lading be a Customs House Agent? Can customs broker complete import customs clearance procedures? This is an interesting article to enlighten some of importers and exporters in international trade about the involvement of customs broker, consignee, importer etc. in import customs clearance at port of destination of importing country. 1. Can a customs broker be a Consignee in Bill of Lading? 2. Can a customs broker be an Importer in Bill of Lading? Here, there are two terms you need to follow: Consignee and Importer. Are Consignee and Importer same? Is there any difference between Importer and Consignee? I request you to read my article – Difference between Importer and Consignee – in same website to have more information. Can a BL be issued to a Customs House Agent as consignee? If House Bill of Lading or House Air Way Bill is involved in a consignment, the consignee could be a customs broker also, as the said customs broker acts as a freight forwarder. He obtains necessary license from government to act as a Freight Forwarder. A bill of lading can not be consigned to a customs broker if the consignee is an importer. However, a customs broker can also become an importer by obtaining certain license from government of importing country. In such cases, the customs broker acts as importer also. But when he acts as importer, he falls under the definition of ‘importer’ and liable to government of importing country as an ‘Importer’. So, he follows the rules and regulations of government of importing country to act as an Importer. So, if a customs broker acts legally as Importer also, a Bill of Lading can be consigned to a customs broker and he can complete necessary import customs clearance procedures at importing country to take delivery of goods as an Importer. There are various reasons to mention customs broker as consignee in bill of lading. Here, the shipment is not consigned to a customs broker but customs broker acts as consignee. Most commonly, these jobs are arranged where in freight forwarding companies involved. These freight forwarders act as customs brokers also at both ends of load port anddestination port. Once after accepting goods from the final shipper, such freight forwarder issue bill of lading to the shipper on receipt of goods after necessary export customs formalities of the country. Once after the receipt of goods from final shipper, the said freight forwarder transfers goods to main carrier. While accepting goods from a freight forwarder, main carrier of goods issues bill of lading to freight forwarder where in the shipper would be the said freight forwarder and the consignee, the overseas counterpart of the said freight forwarder. The overseas counterpart of forwarder could be a customs broker also. This is a common practice of issuance of bill of lading in a trade where freight forwarders are involved. Here the question is, whether Original bill of lading can be consigned to a customs broker in trade where in no freight forwarders are involved. Or, whether final consignee can be a customs broker in House Bill of Lading where in freight forwarder involved. OBL can be consigned to a customs broker at final destination port. In this case, the customs broker at final port of destination act as an Importer also. Means, the customs house agent at destination is authorized by the government to act as an Importer by obtaining necessary import license to act as an Importer. Here, the customs broker act as an Importer, customs broker or freight forwarder or all if the law of such country permits. I have written a couple of articles about the difference between consignee/importer/shipper etc. in same website. You may kindly go through to have more information on the subject. I have clarified on two questions in this article - Can a customs broker be a Consignee in Bill of Lading? And can a customs broker be an Importer in Bill of Lading? I hope, you have satisfied with this article about the involvement of customs agent as importer in a consignment and the involvement of customs broker as a consignee in a shipment of import export of international trade. Do you wish to add more information about this subject about Customs broker as Consignee and customs broker as importer in international trade of imports and exports? Share your experience in acting Customs agent as Consignee and importer in export import of international trade. Discuss below your thoughts on this article – Can a Customs broker be a Consignee in Bill of Lading or Airway Bill? Can a Customs House Agent be an Importer in BL/AWB?